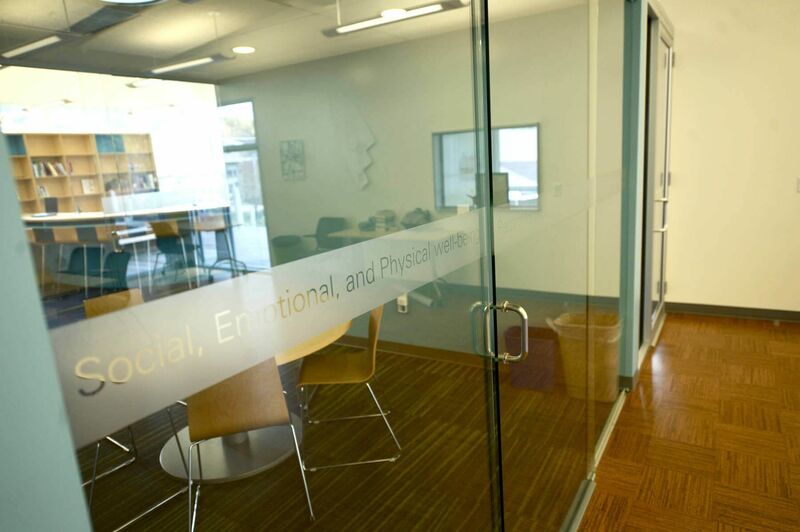 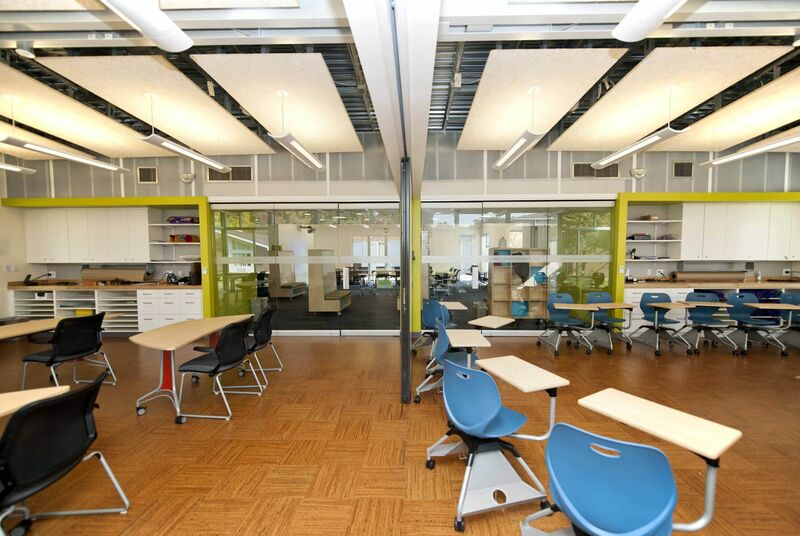 The Barrie School wanted to provide their students and teachers with a beautiful new space to work, study, and interact in new and different ways. 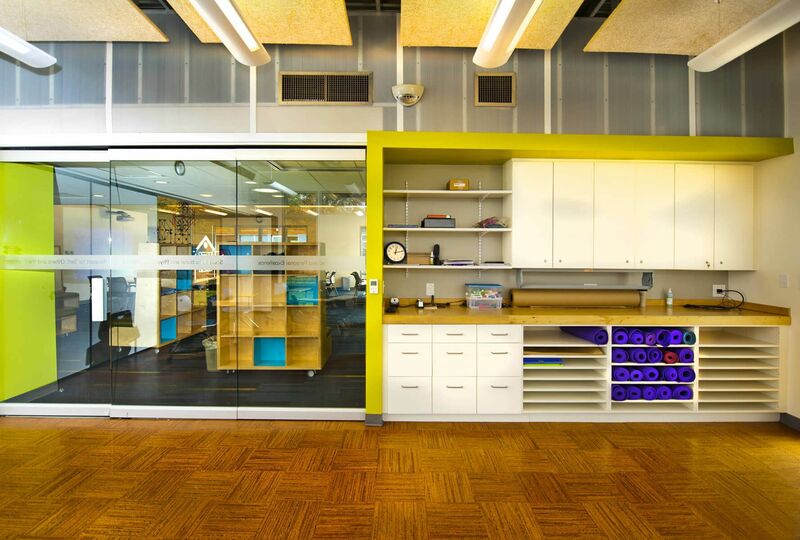 Tall ceilings, movable walls, and plenty of windows were required. 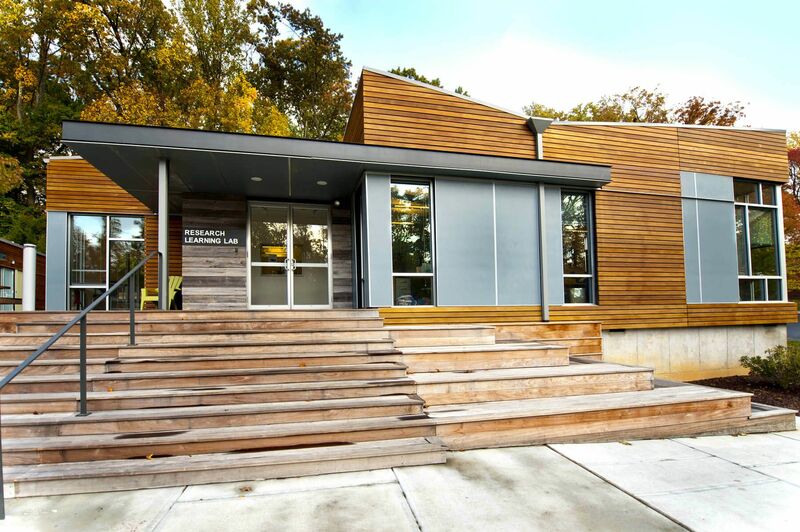 Modular Genius and its affiliates produced a LEED qualified Design Build modular campus on a highly accelerated time schedule. 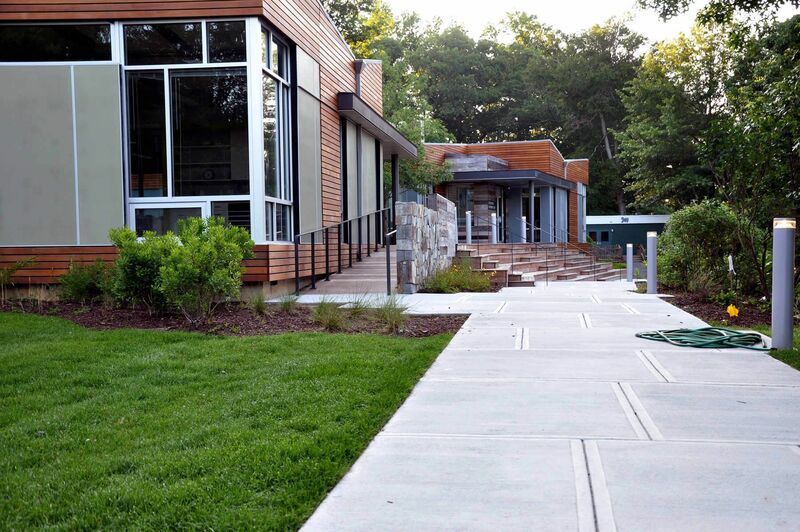 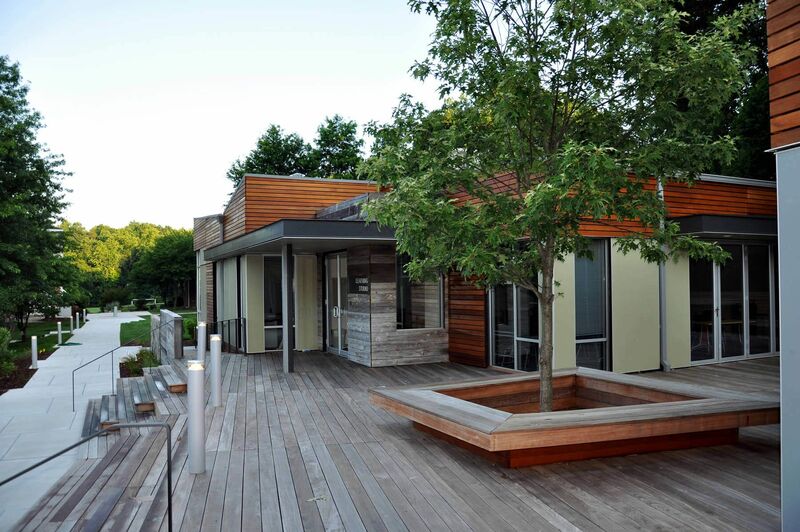 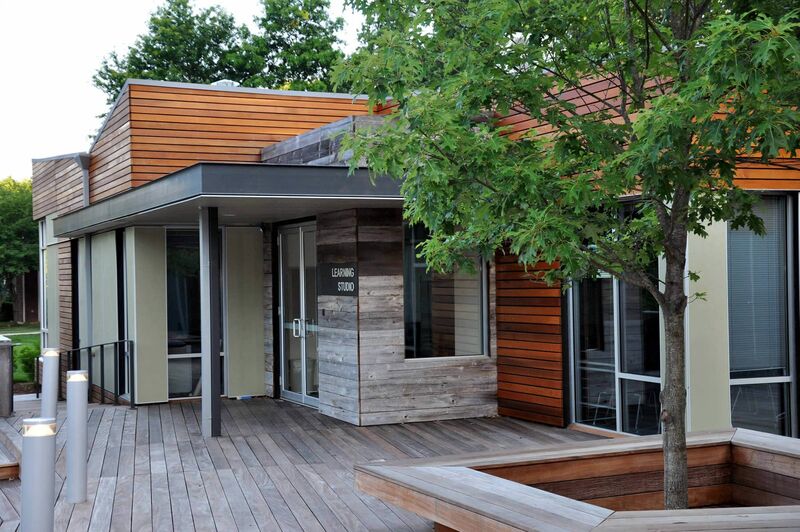 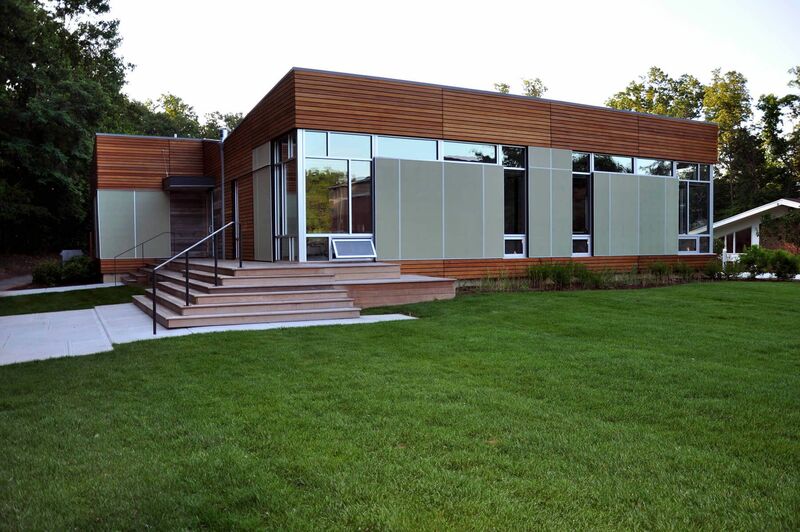 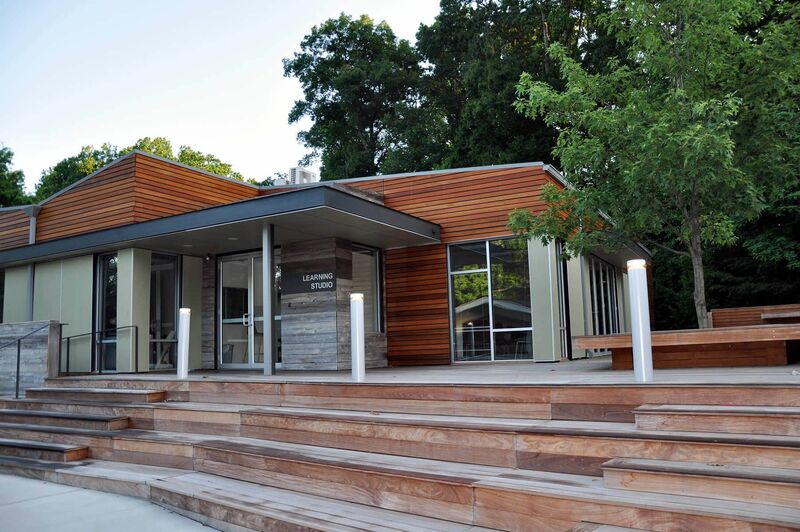 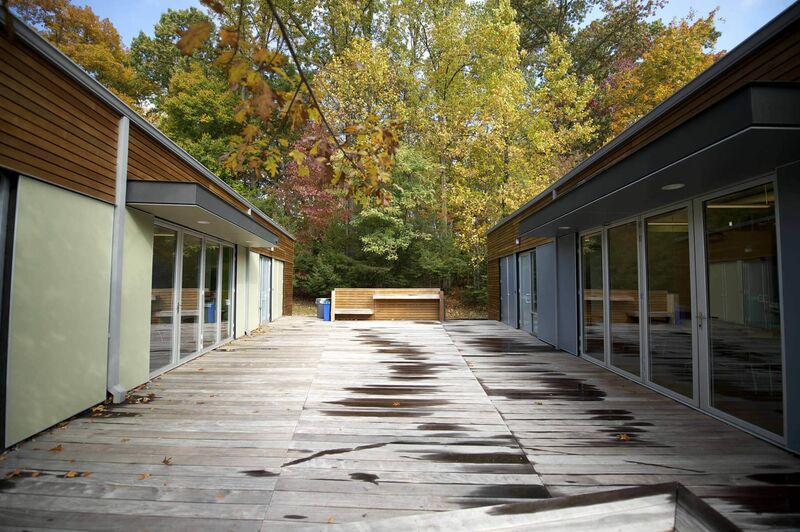 The two green buildings are 7,200 sf and connected with decking to create a changeable and adaptable environment both indoors and out. 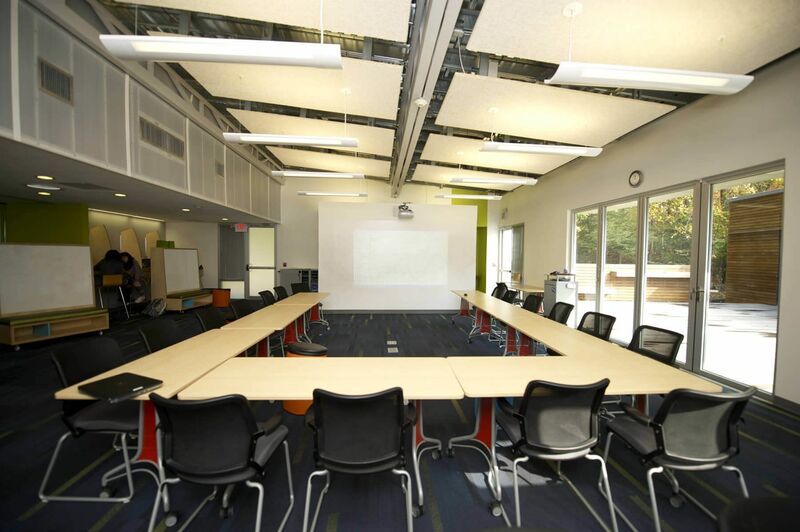 Referred to as studios, this adaptable environment easily converts into large group learning spaces, multiple small group collaboration areas and a large town hall lecture room. 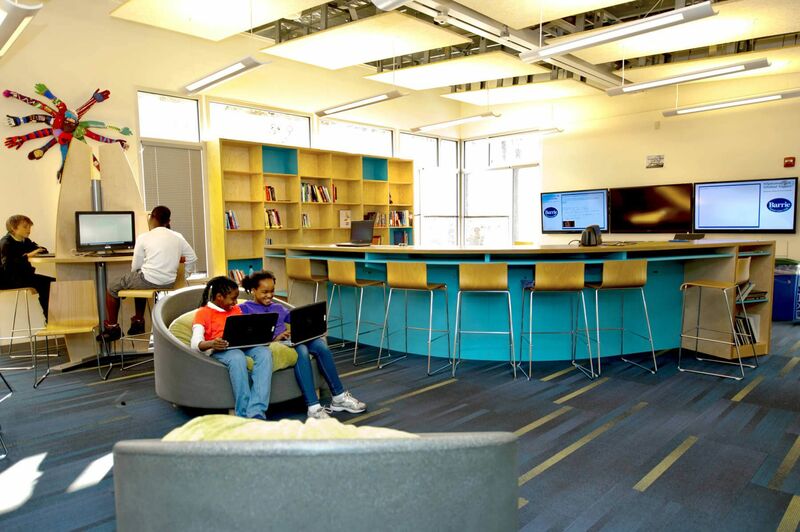 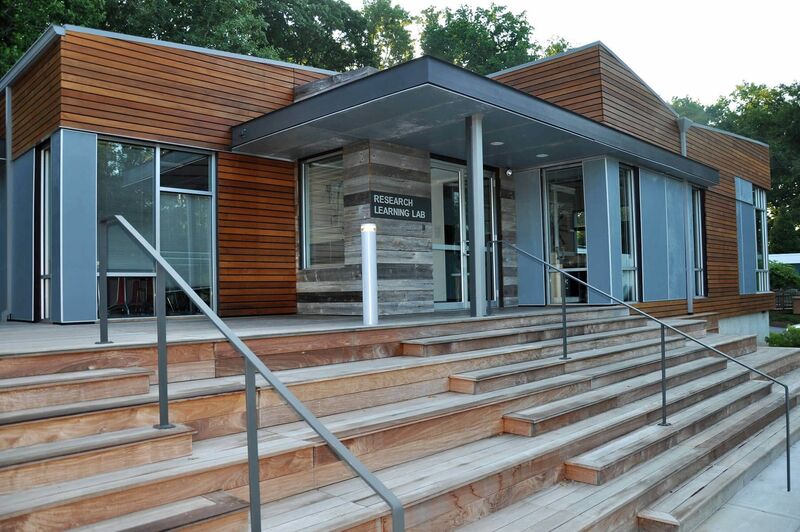 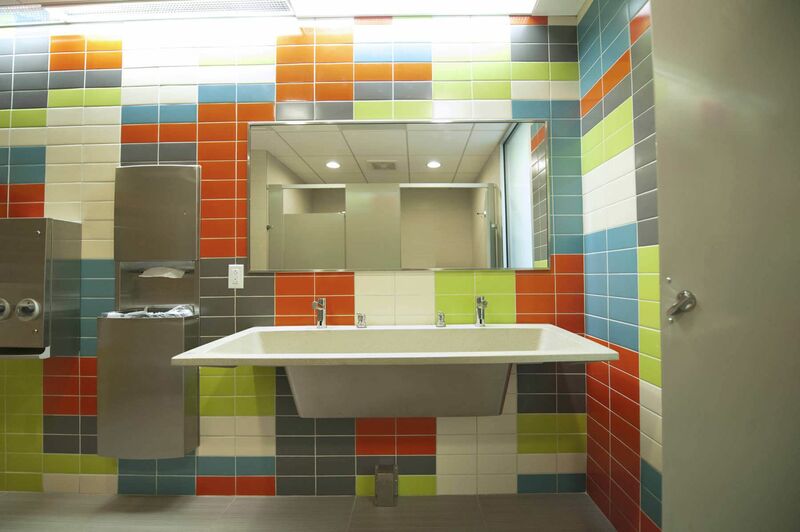 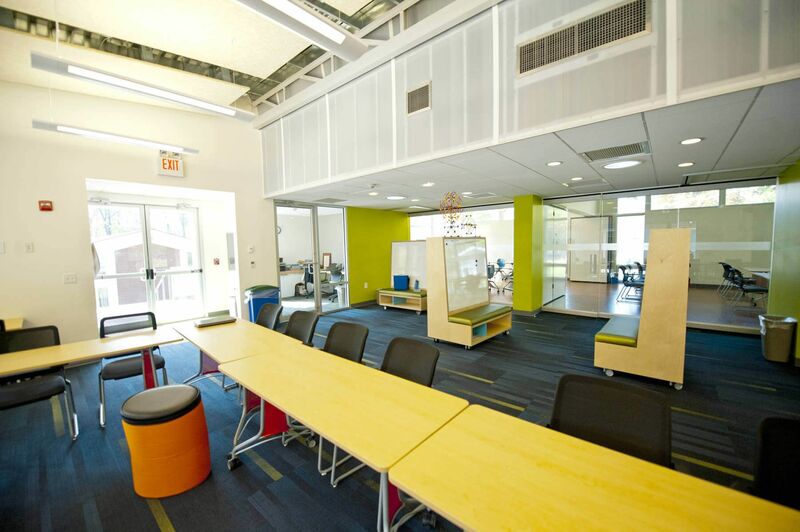 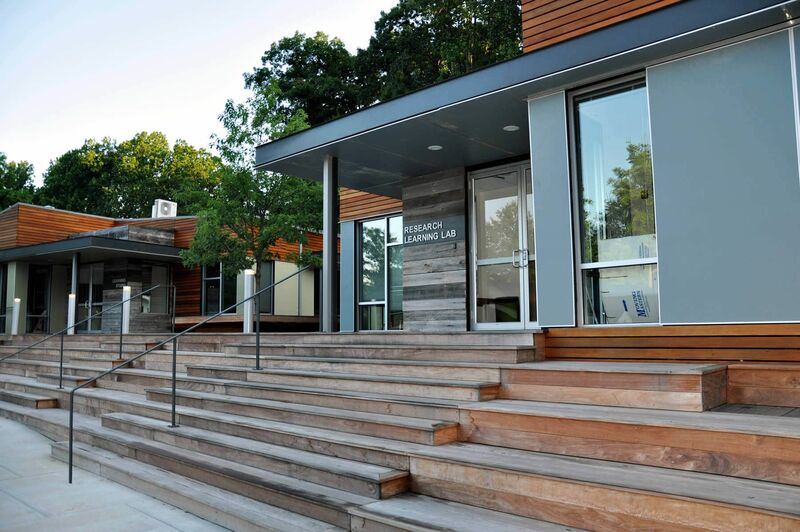 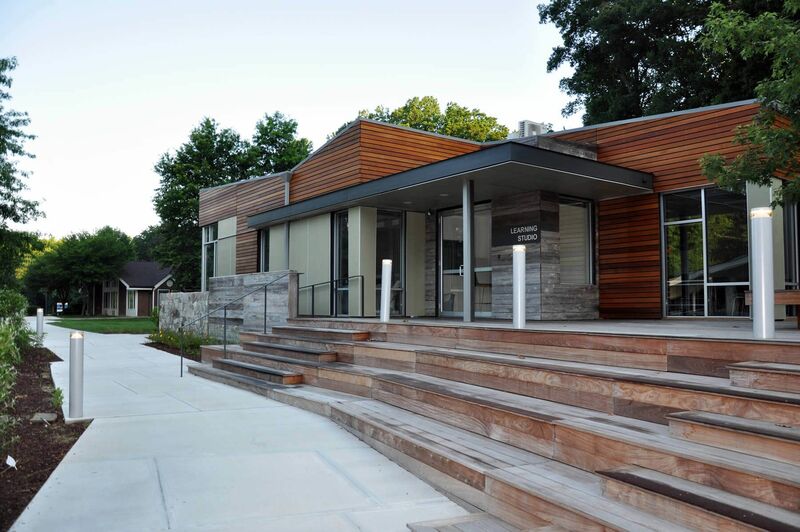 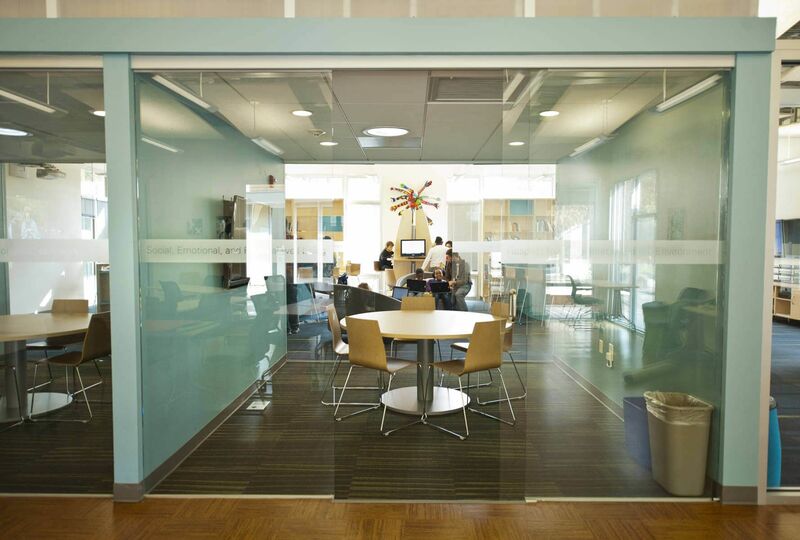 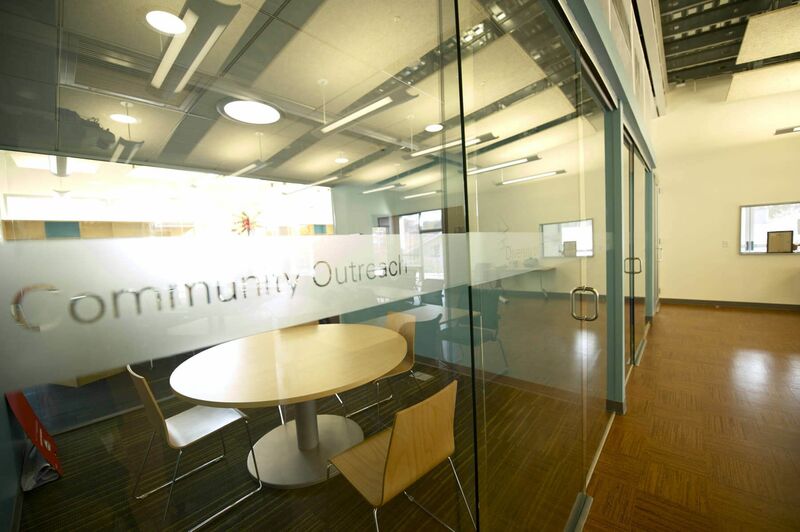 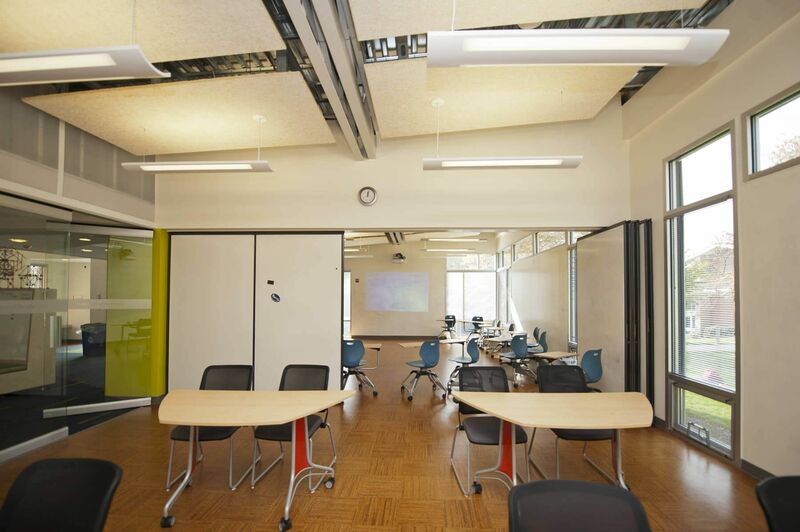 The learning studios were designed to incorporate new and innovative green sustainable components highly recognized by the US Green Building Council. 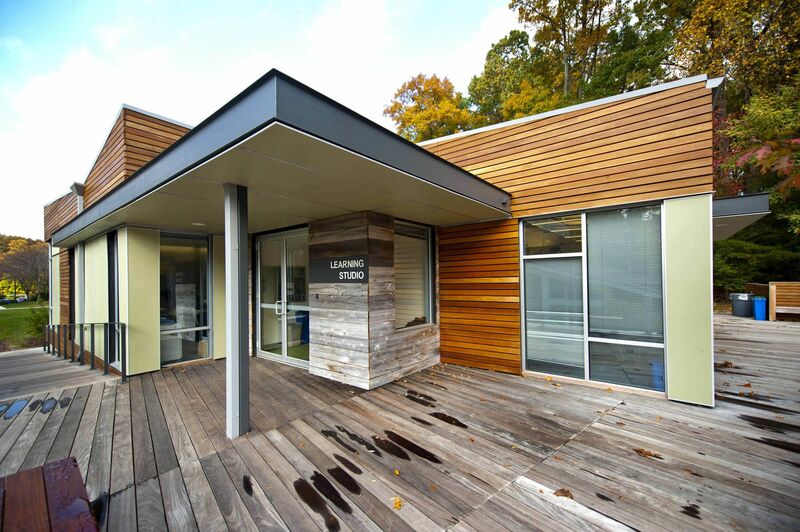 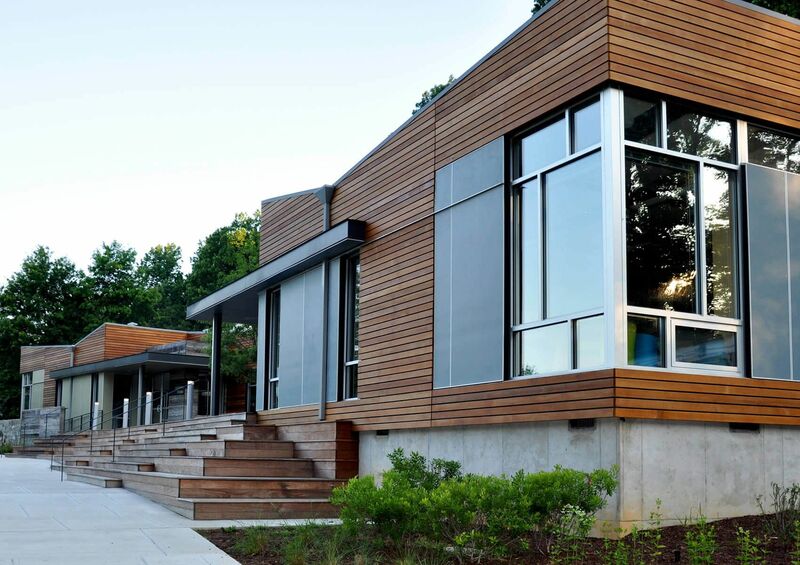 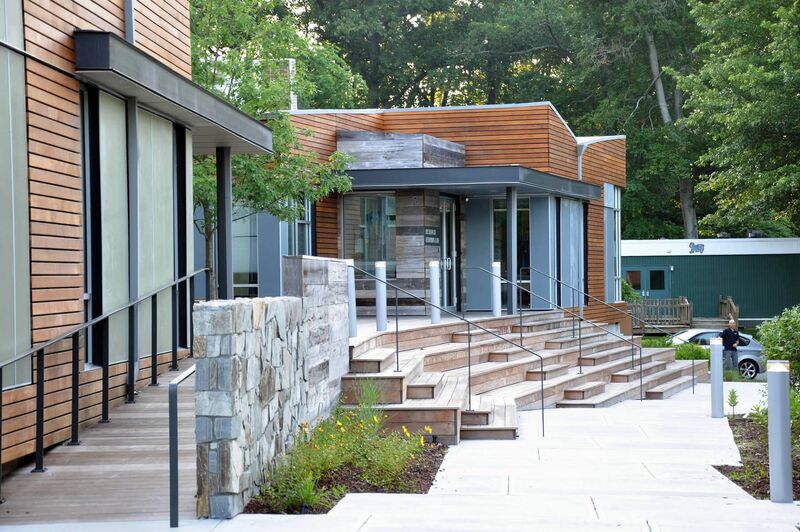 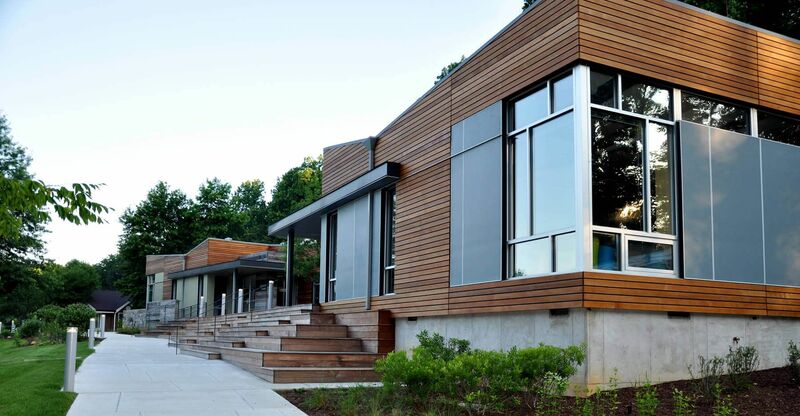 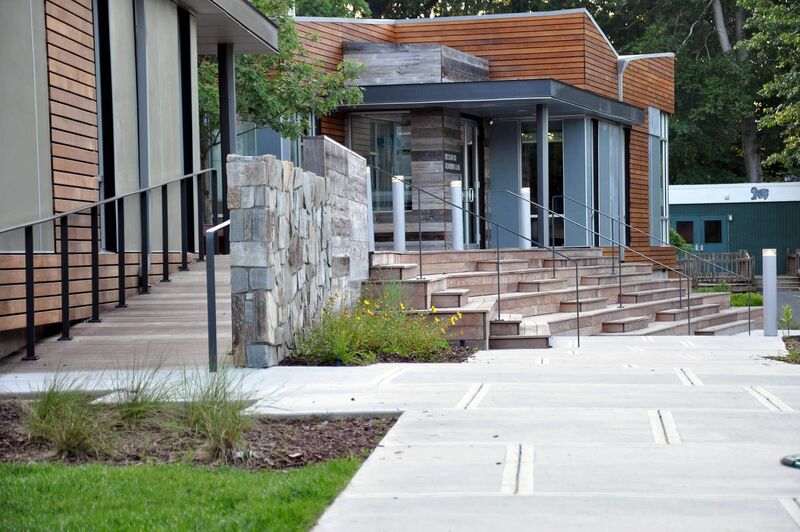 In short, this facility embraces nearly every definition of environmental stewardship, energy efficiency, increased Eco-awareness and healthy interiors. 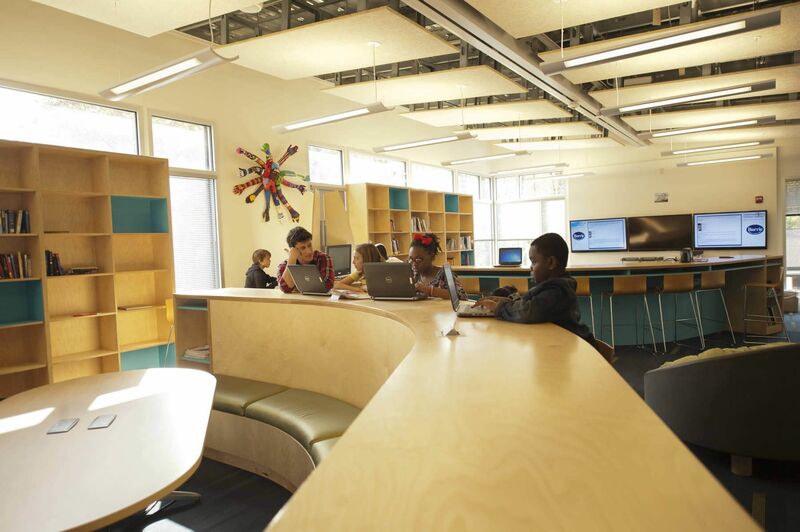 This was an opportunity for Barrie School to redesign and replace some of their existing dilapidated buildings which served the Middle-Upper School for decades. 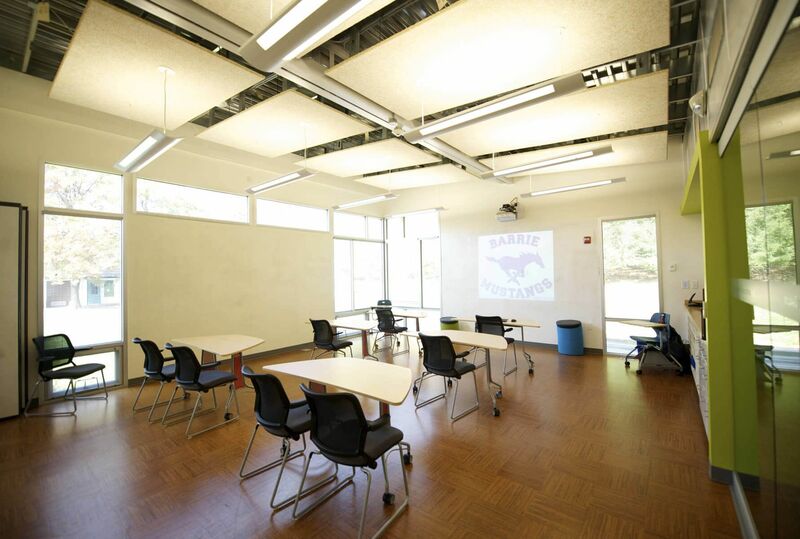 The design was significant because it maximized the use of the existing building foot¬prints and minimize ground disturbance, enabling the school to obtain zoning and permit approval for the buildings through an accelerated alternate path and quickly erect the buildings using modular construction methods that maximized off-site construction, so students and teachers could move into the new buildings as seamlessly as possible.